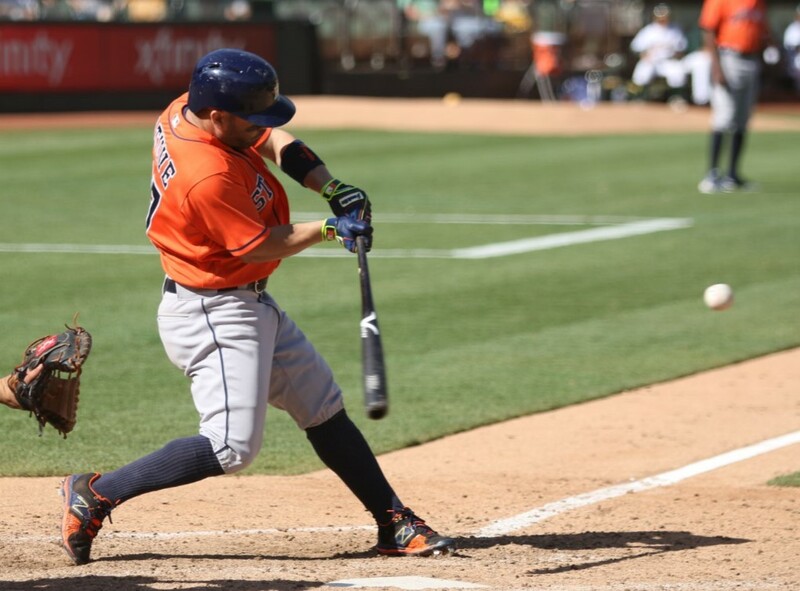 Altuve has been swinging a Victus JA27 33 inch, 31 oz Maple, full cup. 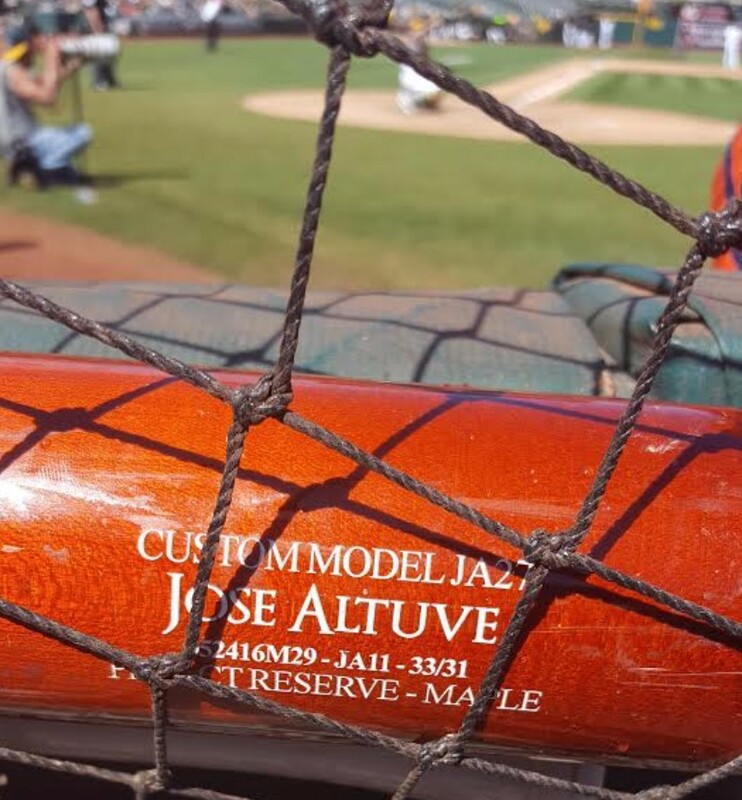 The JA27 is a custom model with a flare knob, thin top hand and medium to large sized barrel. 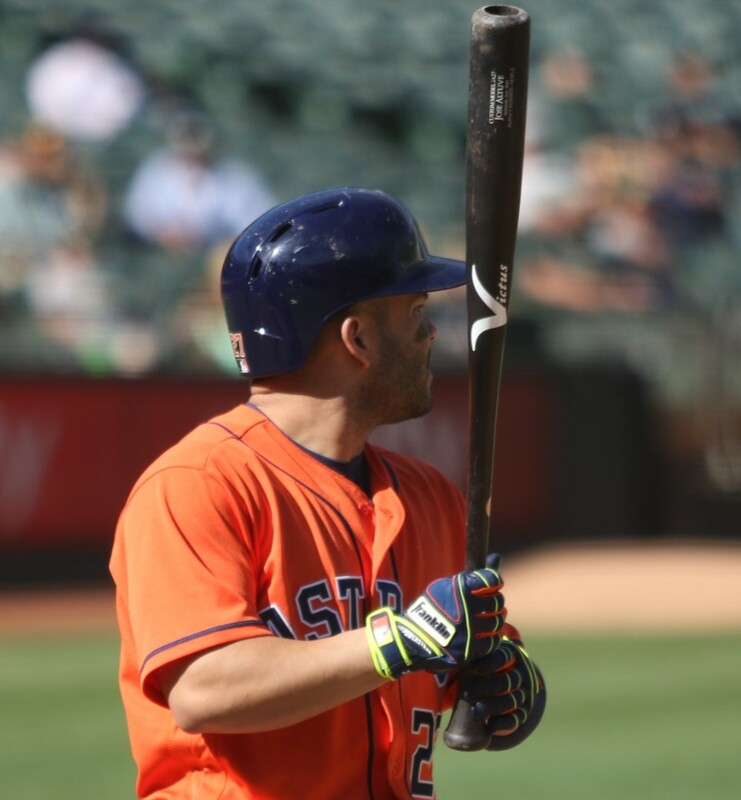 Our source at Victus says the bat “generates great bat whip for a 33″ model while maintaining solid control.” Victus is the fastest growing brand in baseball right now and the #2 bat among MLB starters. The closest alternative to the JA27 that Victus sells online is the JC24. Shop the JC24 at the link.